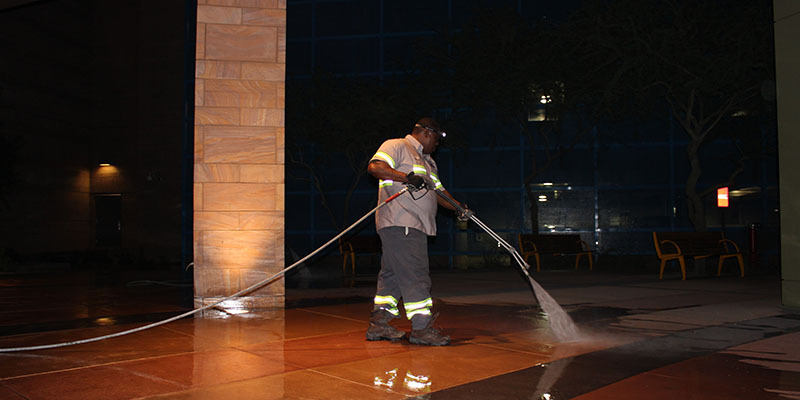 When it comes to keeping building exteriors and outdoor areas clean, AEC is highly trusted and recommended by some of the largest companies in the nation to maintain a clean and professional first image of their properties. Pressure washing remains one of the best ways for building owners and property managers to maintain building exteriors and other outdoor areas.It is useful for removing gum, high traffic area stains, cleaning up after construction projects, parking area cleaning, dumpster cleaning, graffiti and countless other projects. 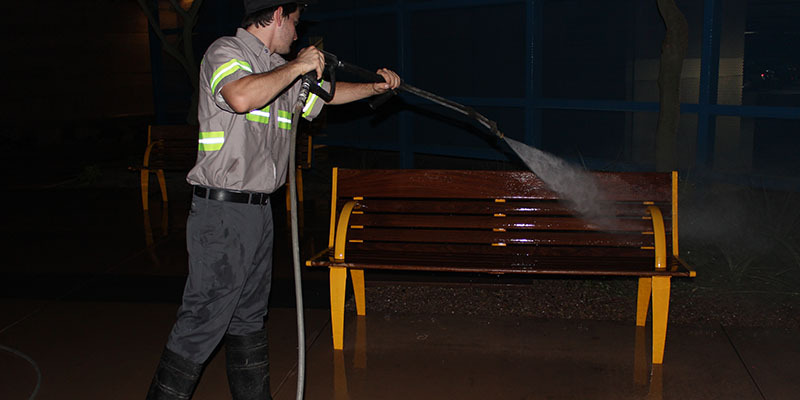 AEC pressure washing technicians are equipped with the very best equipment and cleaning solutions in the industry and are trained for proper cleaning techniquesfor all types of surfaces, ensuring top quality results. 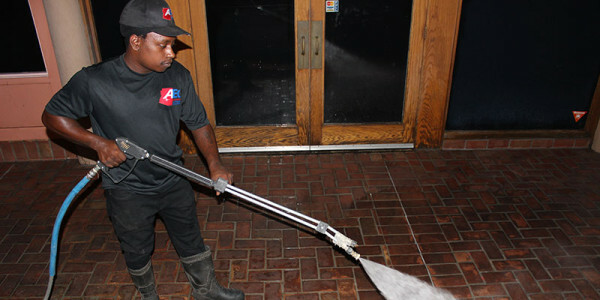 AEC abides by all OSHA & EPA regulations to create a safe work environment for workers, bystanders, and our environment. 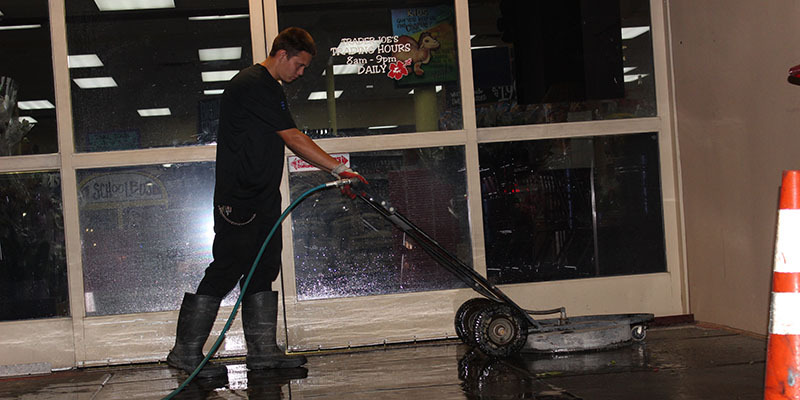 Contrary to popular belief, the responsibility of water reclamation when cleaning property exteriors is the responsibility of the property owner. 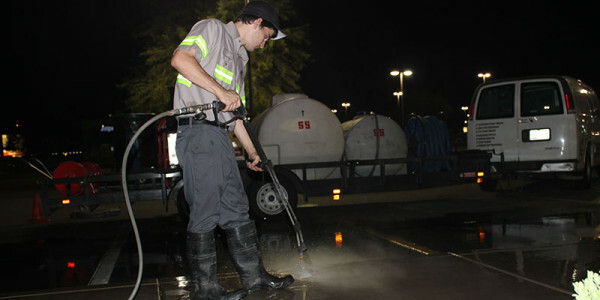 Property owners can face fines of up to $50,000 a day if the water used in a pressure washing project contains dangerous chemicals or is allowed to contaminate the storm drain system. 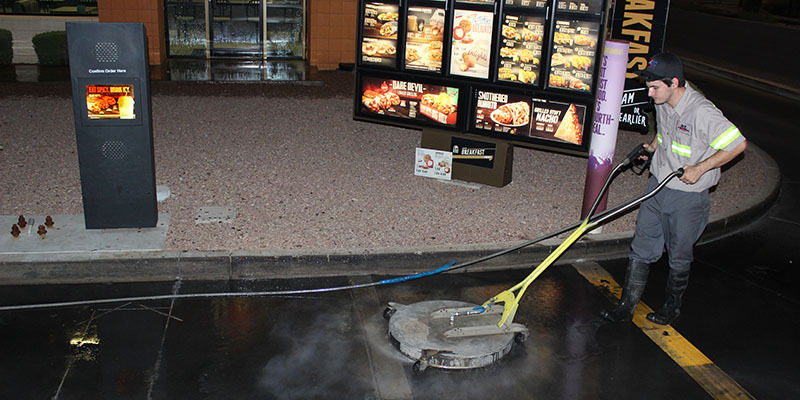 AEC provides building owners security by using water reclamation / waste water recovery systems when needed and utilize best management practices to meet EPA regulations.